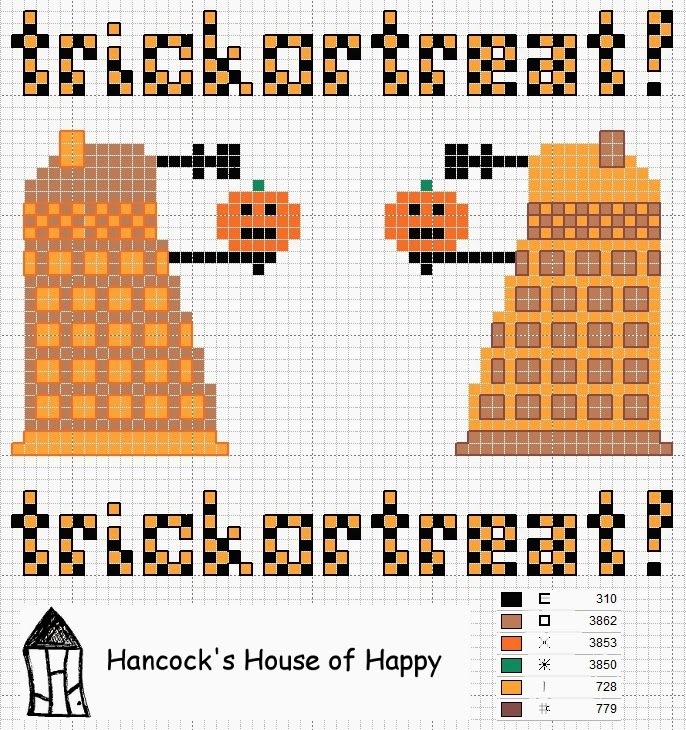 As promised on the facebook page here is the spooky new Dr. Who cross stitch chart. 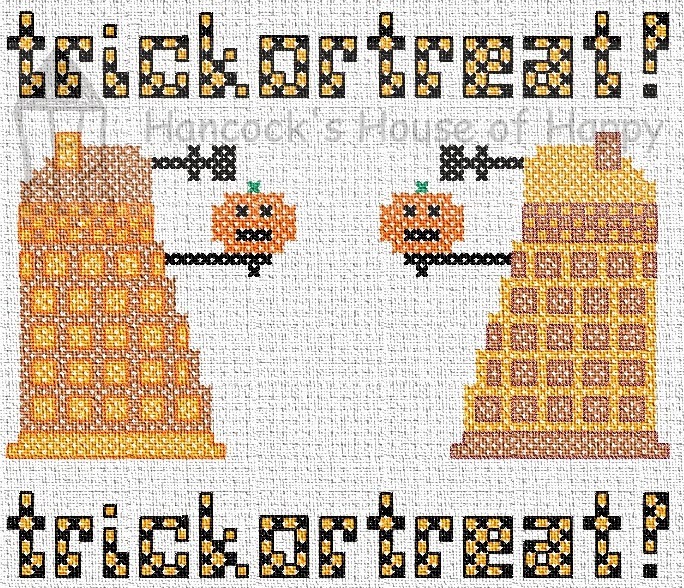 Just in time for Hallowe'en, it features two pumpkin toting Daleks demanding candy. Like ya do. If you would like to know what charts are coming up next like Hancock's House of Happy on facebook. Right click and Save As on the image below to get the full size chart. Let me know if you stitch this one by posting it on the Flickr group.